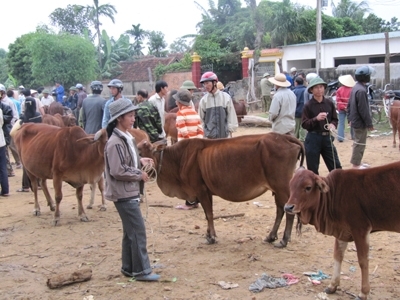 The Thanh Luong Cattle Market might be nothing you imagine as a standard trading place. Of course, it can’t be! This special market is not simply a place where you can find oxen and buffaloes but it is also a unique cultural aspect of the Thanh Chuong District in Nghe AnProvince. Opening on the 2nd, 6th, 9th, 12th, 16th, 19th, 26th, and 29th days of the month, this is a venue that you should not miss at all.